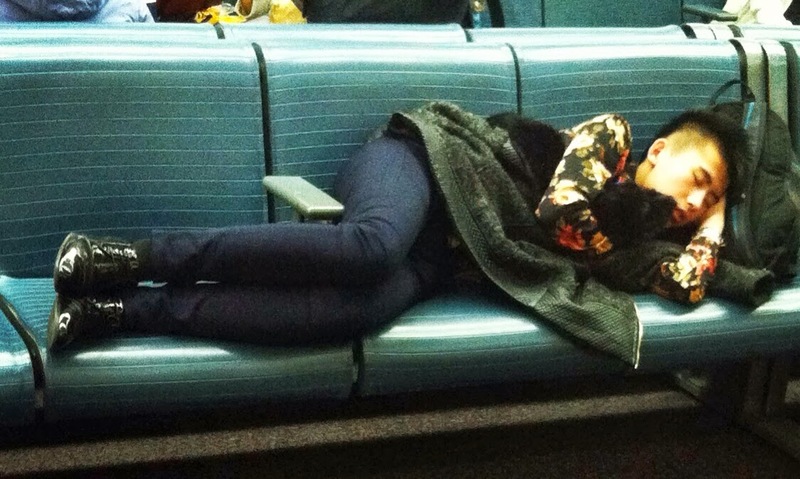 I'm not usually one to creep but i know how much of a feat it is to fall asleep in an airport. Who was I to push someone off that mountaintop to ask permission for a photo? Let it be known that I have a obsession with men that wear floral. The rebelliousness of this action is parallel to licking an ice cream cone in the winter- both completely legal, just demanding a second glance from all passerby's. Yet, those sleeves mixed with the undoubtedly freshly-shined loafers and the fur-lined sweater carelessly draped across him made me wonder whether I was not creeping at all but merely falling into the trap of an intentionally posed man who wanted someone to recognize his get up. Either way, a win-win situation.